Now these are the general properties which forms template of the class Person,and above properties of the are called as Attributes of the Class. 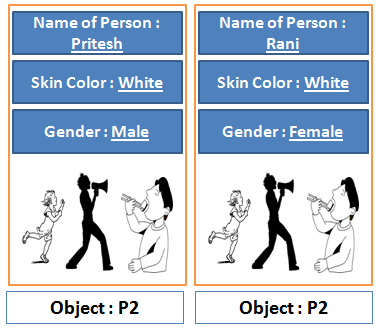 Now ,we are going to create objects of the class , i.e actual instance of the class. Let us say that we have created objects such as “Ram”,”Sam”. 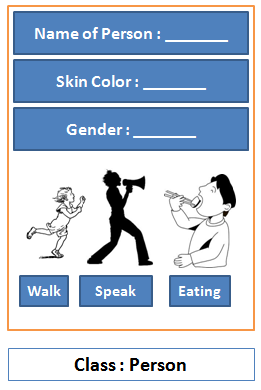 Both will have same attributes and functionality but have different attribute value. Now this is just a template , called as “Class” , and Object is instance of the class. A Class is a blueprint or a template to create objects of identical type. 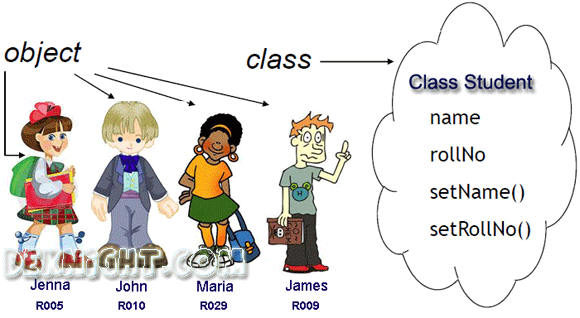 A Class is core concept of Object Oriented Programming Language.